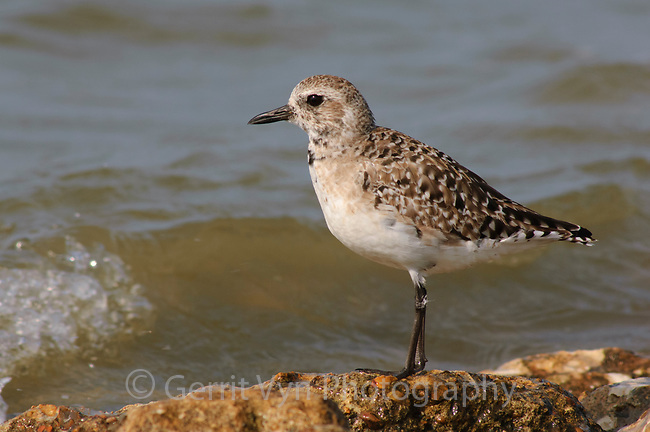 Adult Black-bellied Plover (Pluvialis squatarola) molting from definitive basic (winter) plumage into definitive alternate plumage (breeding). Anahuac NWR, Texas. March.